Drilling and soil sampling has traditionally been the way to explore subsurface conditions. But what if your project site encompasses 18 acres and you know that highly variable conditions exist? Consider a site where drilling and sampling alone can’t sufficiently characterize the site. Terracon’s regional geophysicists collaborate with our engineers and geologists to design the optimal geophysical survey to meet the client’s budget and needs. Terracon has an arsenal of geophysical tools and methods to supplement and complement these more traditional site characterization methods. 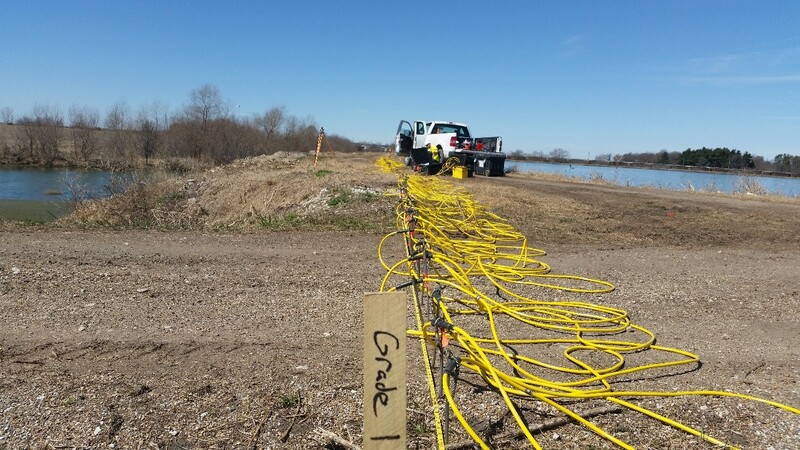 Electrical Resistivity Imaging (ERI), is one such geophysical method and is a great tool for locations where drilling and sampling alone can’t get the job done. ERI measures relative average electrical resistivity of subsurface materials—or how strongly a given material opposes the flow of electric current—then processes the values into a 2-D cross-section of the subsurface beneath the survey line. Geophysical methods such as ERI allow the identification of conditions underneath an entire area, as opposed to drilling and sampling soil borings which provide a finite extent of subgrade data at discrete locations. Using ERI as the first step in geotechnical site characterization is a perfect way to develop a smart exploration plan whereby borings and other intrusive sampling methods can be focused in critical or high interest areas identified by the ERI. Starting an exploration program with ERI data may actually allow the reduction in the overall number of soil borings while painting a more thorough picture of the subsurface when complex geological conditions exist. Terracon’s team of geophysicists work with our geotechnical engineers to blend the use of geophysics with traditional drilling and sampling to better understand the subsurface in ways that have historically been impossible. Sometimes it’s not just geology that can create a complex subsurface that requires geophysics to understand. A client recently asked Terracon for help determining the condition of an area which formerly housed multiple coal mines. Because our client planned to develop the site for commercial use, determining the extent and condition of the mines was essential to plan for future development. The existence of a non-operational coal mine could cause settlement and other foundation issues. Our team started the exploration process with ERI, which provided data to predict the presence of the mine areas to approximately 120 feet below the surface. Our geophysicists evaluated the data and delineated certain areas and depths as anomalies potentially associated with previous mining operations. The geophysical survey allowed us to determine intact and collapsed areas, and areas with voids. We were able to hand this prediction of mine locations to our geotechnical engineers to perform an intrusive exploration with traditional soil borings to supplement and confirm the ERI results. This example is just one way that ERI can be used to reveal the subsurface conditions. We also recently used ERI to determine depth to bedrock below a guide wall at a lock and dam; identify karst (cave) features around a wind turbine farm; and locate water infiltration zones along levees. We even discovered a former tunnel near a clock tower. Terracon has experienced geophysicists and the capability to execute numerous geophysical methods for site characterization throughout the entire country. In addition, NORCAL Geophysical Consultants, Inc. a Terracon Company, based in California, recently joined the firm greatly increasing our expertise in that region. The use of geophysics for subsurface characterization for geotechnical and environmental applications is rapidly growing. We continue to expand our knowledge of advanced geophysical methods such as ERI to bring reliable, cost-effective solutions to address the unique challenges of each site or project. 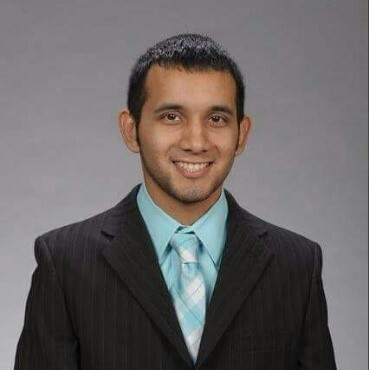 Josh Lopez is a field geophysicist in our Bettendorf, Iowa, office. He is responsible for performing varied geophysical field work across the country, and has led numerous geophysical projects including underground storage tanks locates for environmental departments, seismic and electrical resistivity surveys, and ground penetrating radar concrete surveys.